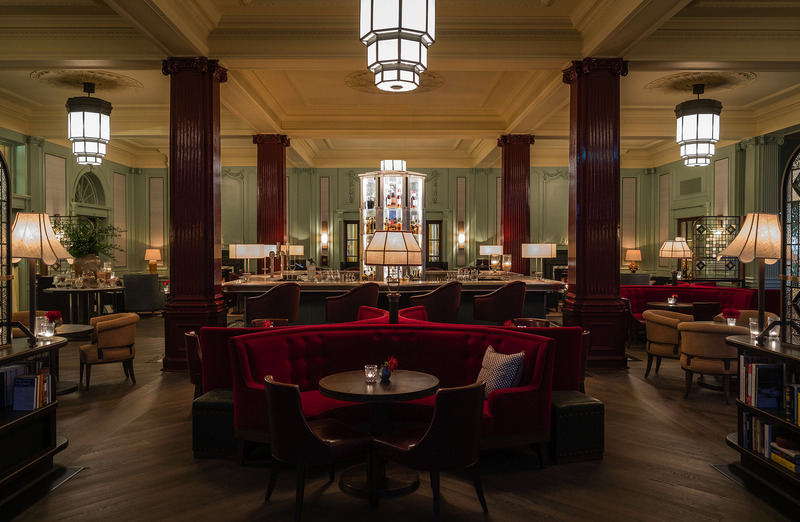 As part of the extensive refurbishment of the Gleneagles Hotel in Perthshire, Scotland, Dernier & Hamlyn has manufactured bespoke lighting for the main bar, the central focus of the hotel’s public areas. Realising the David Collins Studio design, we produced stunning octagonal feature pendants that were formed and finished by hand in our London factory. They incorporate LED technology and have also been configured to discreetly accommodate emergency lighting without detracting from the incandescent lighting effect. Each of the pendants features 24 opaque panes through which the light is subtly diffused. We were also commissioned to handcraft table lamps, bar lamps and floor lamps, all of which were hand bronzed and included the same high quality design, manufacture and finishing.